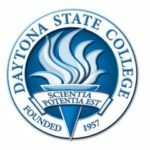 Students in the Occupational Therapy Assistant program at Daytona State College will put their training into practice by participating in the March 6 CarFit® event – a unique program that offers older adults the opportunity to check how their personal cars “fit” them. Created in 2005 by the American Society on Aging and developed in collaboration with AAA (American Automobile Association), AARP and the American Occupational Therapy Association, the CarFit® check takes approximately 20 minutes to complete and is designed to help older drivers find out how well they currently fit their personal vehicle. The program identifies actions drivers can take to improve their fit, and to promote conversations about driver safety and community mobility. WHEN: Wednesday, March 6, 8:30-11:30 a.m. According to the CarFit® website – car-fit.org – older drivers are often the safest drivers in that they are more likely to wear their seatbelts and less likely to speed or drink and drive. However, older drivers are more likely to be killed or seriously injured when a crash occurs due to the greater fragility of their aging bodies. Driver safety programs improve adult driver safety by addressing cognitive abilities and skills; however, older drivers can also improve their safety by ensuring their cars are properly adjusted for them. A proper fit can greatly increase not only the driver’s safety but also the safety of others. Register online for the free CarFit® event, visit car-fit.org/carfit. For more information, call (386) 506-3713.